Wholesale Distributor of a wide range of products which include donjoy oa web reaction knee brace, patella instability ankle support and knee cryo/cuff sc (self-contained). 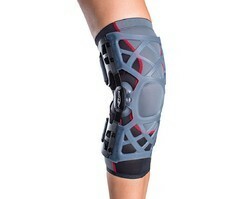 Donjoy OA WEB REACTION KNEE BRACE is ideal for patients suffering early to mild Osteoarthiritis. 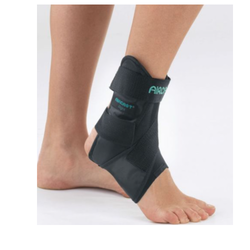 OA Web Reaction is the ideal "first-time" choice to allow patients to get accustomed to wearing a brace, making it easier to transition into a more rigid OA brace. Being a prominent organization, we are providing finest quality of Patella Instability ankle Support to our valued clients. Our team is offering Knee Cryo/Cuff SC (self-contained) to the clients. These cuffs operate without external cooler as it can directly be filled with water and ice. There is a hand bulb attached to it that is used to measure pressure after application. It is designed to cover the completed affected area and is available in small, medium and large size. Self-contained design eliminates the need for a cooler. 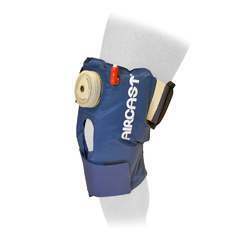 Knee Cryo/Cuff SC (self-contained) are available in Small, Medium & Large Sizes.